This captivating 5 bedroom, 3.5 bathroom, 2,962 sq. ft. contemporary home is located at the end of a cul-de-sac with easy access to trails and open space. The picturesque windows frame the beautiful oasis rear yard and sparkling pool. You'll never want to leave the kitchen that boasts stainless steel appliances, a prep island, pantry, and a dining nook. The formal dining room overlooks the rear yard and features built-in cabinetry. Ascend the dramatic stairway and step into the spa-like master retreat to relax in the sitting area or soak in the jetted tub and tell all your cares goodbye. The ample 2-car garage with separate single car garage provides secure parking. The spacious backyard offers plenty of room to play or relax. Sit under the covered patio, take a dip in the pool or tend your garden in the raised vegetation beds. 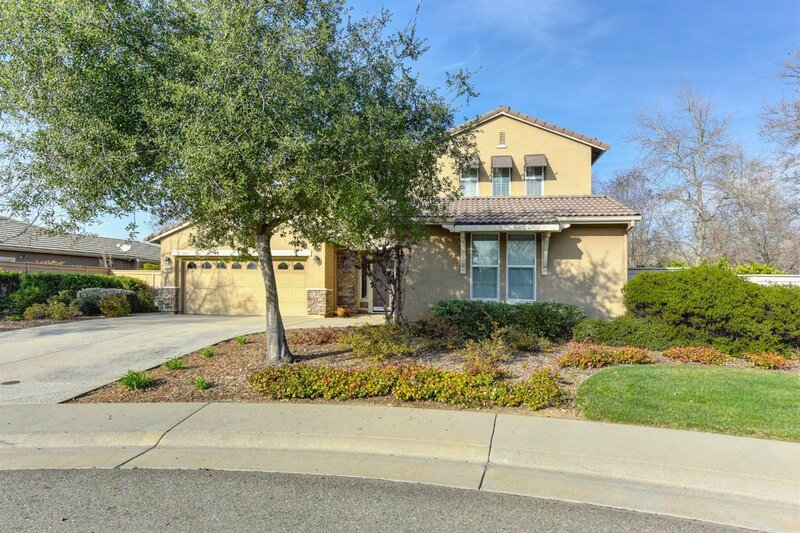 Listing courtesy of Lyon Re Folsom. Selling Office: Lyon RE Fair Oaks.